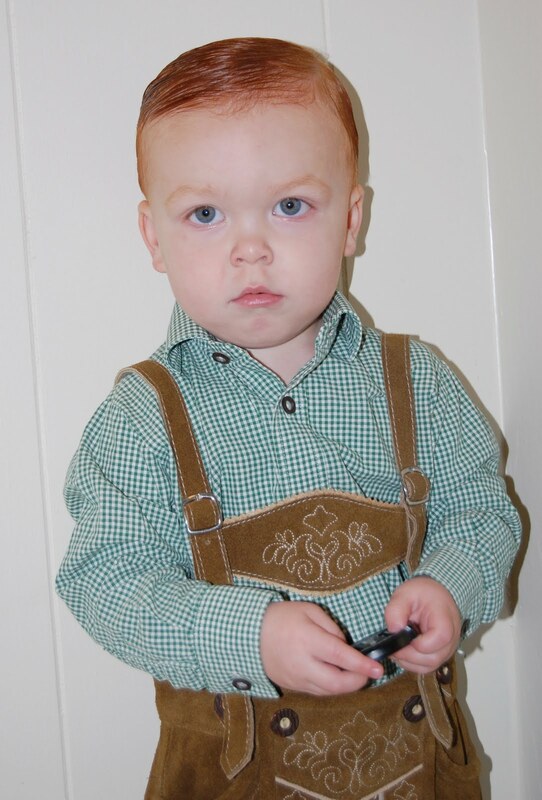 Brody got to wear his lederhosen today. They are still a little big but we love them on him anyways. OMGosh....seriously.....he is soooo stinkin cute!!!!! Love that outfit! WHAT??? How much cuter can he get!!! I LOVE it. I think Travis needs some matching lederhosen for himself. Love the lederhosen. My boys wore the pair we had for a long time. Great memories for me!